Remember when CD players cost hundreds of dollars? The same volume-based price slide is starting to take place with electric vehicles, according to Patrick Wong, CEO and director of Innovation Metals Corp. Wong believes that hybrid and electrical cars are on the cusp of overtaking standard automobiles as the vehicles of choice. And when they do, the rare earth markets that supply the materials needed in every electric car battery and drive motor will take off. In this interview with The Metals Report, Wong encourages investors to get into the market before they get left behind. The Metals Report: You've said that the ratio of natural gas to oil prices [see price charts below] represents the largest arbitrage opportunity in history. What does that mean for the future of transportation and rare earth element (REE) consumption? Patrick Wong: This trillion-dollar arbitrage will bring a lot of momentum into the electrification of transportation. You need REEs to make the permanent magnets that go into the electric drive motors, so they have a key role. In 10 years, we'll look back and recognize that this is the beginning of the end of a world dependent upon petrol-based transportation. 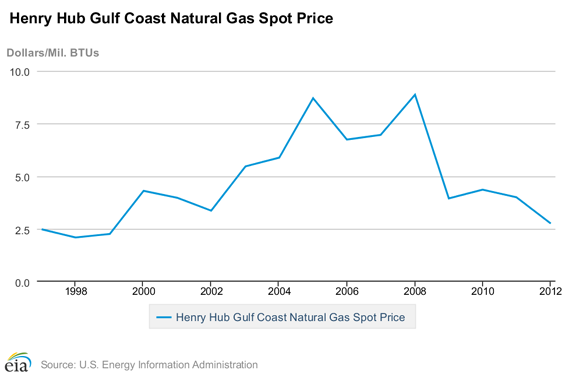 Above: Henry Hub prices are in decline, while West Texas Intermediate prices rise. TMR: With gas stations on every corner, where will the desire and the money come from to support this massive shift to electric vehicles? "In 10 years, we'll look back and recognize that this is the beginning of the end of a world dependent upon petrol-based transportation." PW: The economic divide between cheaply produced electricity versus expensive oil is all the support the hybrid market needs in order to grow quickly. The economics will drive everything. We have one of the most advanced power grids in the world, with more plugs than gas stations. Any new technology—plasmas, LCD TVs, Blu-Ray—starts off at higher prices because the research and development costs have to be amortized. As volume picks up, the prices decline, and they eventually push the old technology out. Right now, hybrid electric cars can be as much as 20% more expensive than regular cars, but in a short period of time, this price differential will drop to less than 10%. Soon it will be like choosing an automatic or a manual. TMR: You've said that finding REE deposits isn't an issue—they're actually not rare—and that being economic can be a misplaced concept. "Right now, hybrid electric cars can be as much as 20% more expensive than regular cars, but this price differential will soon drop below 10%." PW: Being uneconomic doesn't mean it's necessarily a bad investment, especially when the underlying commodity has huge price volatility. I had some of my best days as a hedge fund manager investing in high-cost gold mines that were uneconomic at $350 per ounce ($350/oz) gold. Everyone hated them, but when it went to $1,000/oz, these companies had a ton of leverage. Solid investing is about making the right risk-adjusted bets over and over. When an analyst says a project is uneconomic, you should consider the price that would make a given mine become economic. TMR: Are partnerships with end users the holy grail, or are they a pitfall? PW: I don't see why it's such a big deal when a company announces that it has a partnership or offtake. Investors assume there is an end market, so why is it such a surprise when a customer is announced? What's more of an issue is that most of these companies intend to produce a mixed concentrate, but I don't know any end user that can use a mixed bag like that. Most customers use only two or three elements. This is where a refinery comes in to produce the material end users need at the specifications they require. TMR: Are you saying that a centralized refinery would make it possible for more companies to compete, considering most juniors would not have to bear the cost of building their own processing facilities? PW: Absolutely. Mines are good at mining. The refinery is a chemical-processing plant. My company, Innovation Metals, is currently raising capital for a facility that should help address the rare earth processing bottleneck. TMR: What are your projections for REE prices? 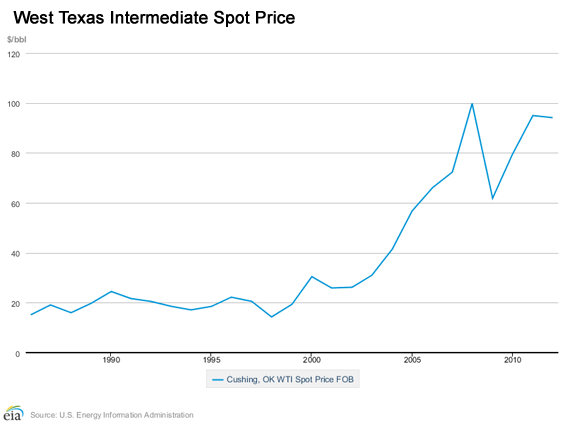 "REE prices are bottoming out, and customer inventories are running low." PW: Prices are bottoming out. We keep track of customer inventories, and they are running low. The demand for magnet-based REEs remains strong and is growing, but dysprosium and the terbium, europium and yttrium for phosphors might stay flat until we see a larger adoption of energy-efficient lighting. A lot depends on whether or not the United States weans itself off incandescent lighting. TMR: Funding is a challenge for all juniors in this market. How are rare earth companies, which sell on a less transparent market, finding the money to move their projects forward? PW: Traditional bank financing won't be there because there is no way for banks to hedge out financial risk. The banks will lend off these forward contracts, but a substantial amount will need to come from traditional equity financing. TMR: Gareth Hatch, who works with you, said in an interview last November that the vast majority of companies in the space would not go into production soon. How many are still out there, and how many can be successful? PW: Just a handful will make it in the short term. In the long term, if the demand is there, prices will go to a point where marginal supply will meet marginal demand, and those projects will become economic. Anything could still pull a rabbit out of the hat, but investors shouldn't depend on being lucky. TMR: When you say a handful, how many are we talking about? TMR: Are there still opportunities for juniors in the light rare earth elements (LREEs), or do Molycorp Inc. (MCP:NYSE) and Lynas Corp. (LYC:ASX) have that market cornered? PW: Just because a few large companies dominate by volume doesn't mean a smaller player can't compete. There are always opportunities. In the end, it will come down to cost and capital expenditures (capex). With the high cost of capital these days, companies with a low capex have an advantage over large projects and can afford to sell cheaper. More volume will encourage more transparency. Eventually, an efficient market will form and the company with the lowest cost base will set the stage, regardless of its size. TMR: What are some examples of companies with low capex that could be successful? PW: On the heavy rare earth element (HREE) side, Matamec Explorations Inc. (MAT:TSX.V; MRHEF:OTCQX) and Tasman Metals Ltd. (TSM:TSX.V; TAS:NYSE.MKT; TASXF:OTCPK; T61:FSE). A bit further down the road is Namibia Rare Earths Inc. (NRE:TSX, NMREF:OTCQX). Having access to a refinery is key, especially for HREE projects. TMR: Matamec has an agreement with Toyota Tsusho Corp. (TYHOF:OTC; 8015:JP) and a feasibility study coming out. Do those give it an edge? PW: It's one of the more advanced projects. We're looking forward to reading the feasibility study. What makes me a little bit nervous is that, as far as I know, a third party will be pricing out the concentrate prices that Matamec will receive. Toyota doesn't have an HREE separation plant, so I don't know where it is going to ship this material. TMR: Does being the first to market give Matamec an advantage? PW: The whole first-to-market issue has been overglorified. It's nice to be first, but ultimately, the end users will buy from anybody with the lowest price as long as their specs and quality control are consistent. So whether you're first, second or third, there is still a large end-user market that needs the product. When you're first, you might get access to better pricing. That is a bit of an advantage. TMR: You mentioned Tasman, which is in Europe. Does location make a difference? PW: Definitely. When you have infrastructure available, it lowers capex and reduces the volatility of the assumption behind it because things are better defined. Tasman has a suite of HREEs, for which demand should come from not only Asia but Europe as well, for use in things like phosphors and magnets. TMR: What are some other companies that have a shot at being in the top six? PW: Ucore Rare Metals Inc. (UCU:TSX.V; UURAF:OTCQX), Great Western Minerals Group Ltd. (GWG:TSX.V; GWMGF:OTCQX) and Geomega Resources Inc. (GMA:TSX.V; GOMRF:USX), even though it's more of an LREE project. I like the management teams that are resizing their projects. They're looking to bootstrap their mines―to start off smaller and get to cash flow quicker. Companies likeGreenland Minerals & Energy Ltd. (GGG:ASX) in Greenland and Arafura Resources Ltd. (ARU:ASX) in Australia have looked at the market environment and realized that the billion-dollar project isn't feasible, so they're looking at smaller projects that can fund future growth. Peak Resources Ltd. (PEK:ASX; PKRLY:OTCQX), in Australia, has low capex. TMR: Great Western Minerals has been working with the Department of Defense (DOD) on finding yttrium. Is that partnership as valuable as working with an automobile maker? PW: It's not any better or worse; the DOD has the same needs as any end user. For REE products, there's a high threshold to meet in terms of consistency and quality, whether it's for the DOD or another end user. TMR: Great Western's stock price has ticked up recently. What's behind that? PW: Some REE stocks seem to be stabilizing. Maybe some of the speculators are looking to bottom feed and pick a trough. Great Western has a good shot at production; it was beaten down along with the rest of the sector and probably poses a better risk-reward opportunity than other stocks. TMR: Geomega has both graphite and REEs. Is that a benefit? PW: I don't think it has any synergistic benefits. It's nice to have an end user that might use both, but you need to value both deposits separately. TMR: Geomega is in Quebec, as is Quest Rare Minerals Ltd. (QRM:TSX; QRM:NYSE.MKT). What geological benefits does Quebec offer? PW: Each mine has a different geology and will have a different metallurgical process. Quebec does boast a lot of resources. Gareth has said it has the highest concentration of REE resources in a given location, which is one reason we're putting our REE refinery in Quebec. There are other advantages to Quebec—it also has access to cheap power and a good labor force. TMR: REEs often come along with uranium or thorium. How do you deal with the issue of radioactivity? PW: Mining companies must have the ability to take out and store any radioactive material at the site, because it can't be shipped. The feedstock the refinery takes is free of radioactive material and already concentrated to a point that it's mostly REEs. TMR: Is the ability to deal with radioactivity one of the things that you look for in the feasibility studies? Do some companies have fewer issues with that than others? PW: Some deposits have less radioactive material than others, but any amount needs to be dealt with. You need to have a permit and a plan for how you're going to deal with it. In a feasibility study, I look more for its business approach. Is it going to sell a mixed REE concentrate, or does it have the ability to produce a product end users need? TMR: What end products are most in demand? PW: Out of the LREEs, neodymium and praseodymium are most in demand for their use in magnets. For the HREEs, dysprosium is definitely the most in demand. The markets for europium, terbium and yttrium can quickly turn around and be very strong. TMR: Some investors in the REE space have been suffering for a while. Do you have any words of comfort? PW: Continue to look for low-capex projects. They are less risky and have a better chance of making it to market. Look for a pragmatic management team that understands the market it's in and can change its business strategy to suit it. The refinery space is another way to invest in the future of rare earth elements. I have found that institutional investors are interested in the space for all the reasons mentioned above. In 10 years from now, you will look back and see this was the transition point from a world dependent on petrol-based transportation to one using much cleaner, more efficient electrical or hybrid cars. TMR: Thank you so much for your time. PW: It was my pleasure. Patrick Wong, chief executive officer and director of Innovation Metals Corp., is a seasoned hedge fund manager with over 15 years of experience in various trading strategies, including capital structure arbitrage. He was co-founder and chief investment officer of Dacha Strategic Metals Inc., a unique investment vehicle that invests in physical rare earths. Prior to Dacha, Wong was president of a natural gas trading company that created models to trade physical gas. More recently, he has traded rare earths and metals. 1) JT Long conducted this interview for The Metals Report and provides services to The Metals Report as an employee. She or her family own shares of the following companies mentioned in this interview: None. 2) The following companies mentioned in the interview are sponsors of The Metals Report: Matamec Explorations Inc., Tasman Metals Ltd. and Namibia Rare Earths Inc. Streetwise Reports does not accept stock in exchange for its services or as sponsorship payment. 3) Patrick Wong: I or my family own shares of the following companies mentioned in this interview: None. I personally am or my family is paid by the following companies mentioned in this interview: None. My company has a financial relationship with the following companies mentioned in this interview: Innovation Metals is in talks with juniors about using a central refining plant. I was not paid by Streetwise Reports for participating in this interview. Comments and opinions expressed are my own comments and opinions. I had the opportunity to review the interview for accuracy as of the date of the interview and am responsible for the content of the interview.